As the Syrian conflict enters its eighth year, it continues to have a devastating impact on millions of lives with nearly 12 million people in need of urgent relief. 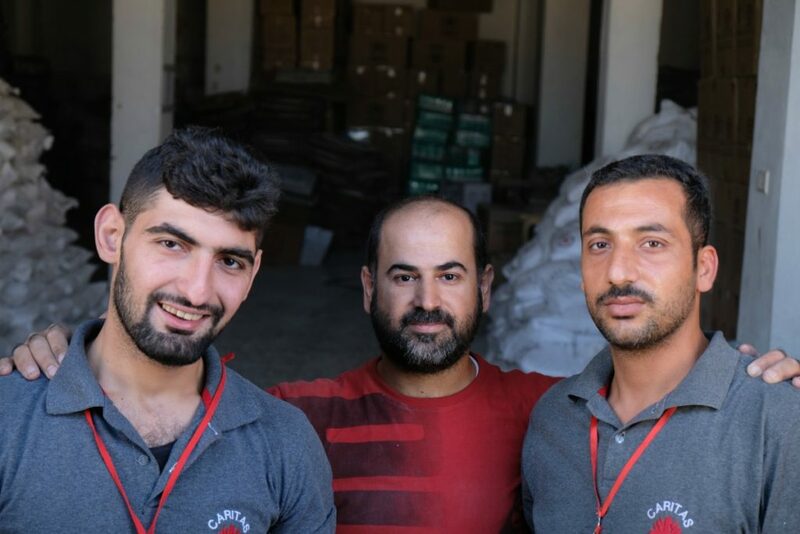 Caritas Syria is dealing with the crisis every day, supporting those suffering from continuing violence and offering life-saving assistance. Syria is now the largest displacement crisis in the world since World War II. Over half the country’s pre-conﬂict population has been forcibly displaced. Around 6 million people have been forced to flee their homes inside Syria and nearly half of them are in besieged or hard to reach areas. Many Caritas workers and volunteers are displaced themselves. Fifteen-year-old Rabee Zarife moved to Damascus with his family when violence broke out in their village on the capital’s outskirts. His father was killed when a mortar shell struck the family’s shop. Rabee managed to survive but lost his legs in the attack. A team from Caritas Syria met Rabee in the hospital in Damascus after the accident and started giving the family food, clothing, medication and psychological support, as well as medical equipment for Rabee (wheelchair, walker, walking sticks). 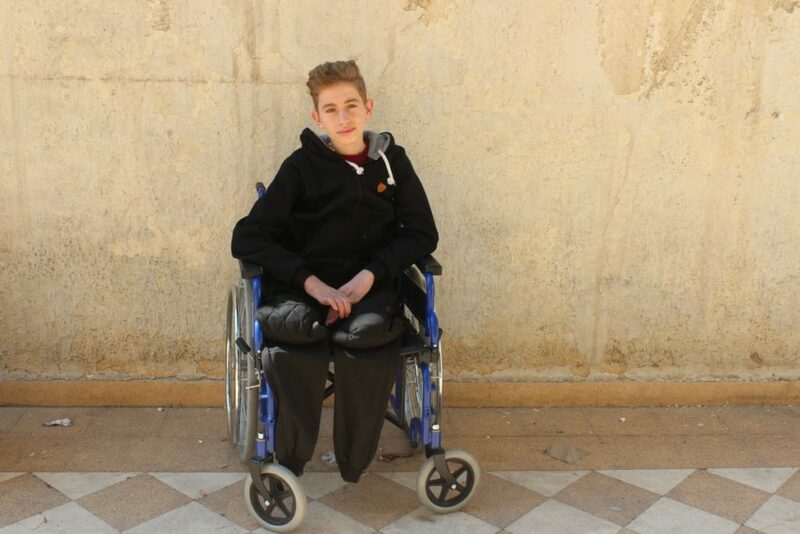 Caritas also worked with other charities to help Rabee get prosthetic legs. Poverty rates in Syria are very high after seven years of war. Estimates suggest that approximately six in 10 Syrians live in extreme poverty and are unable to buy essential food items. Nessrine lives in Hassakeh. She could not afford to buy powdered baby milk for her twin daughters. Since they were born she has been feeding them cow’s milk and this has affected their growth. 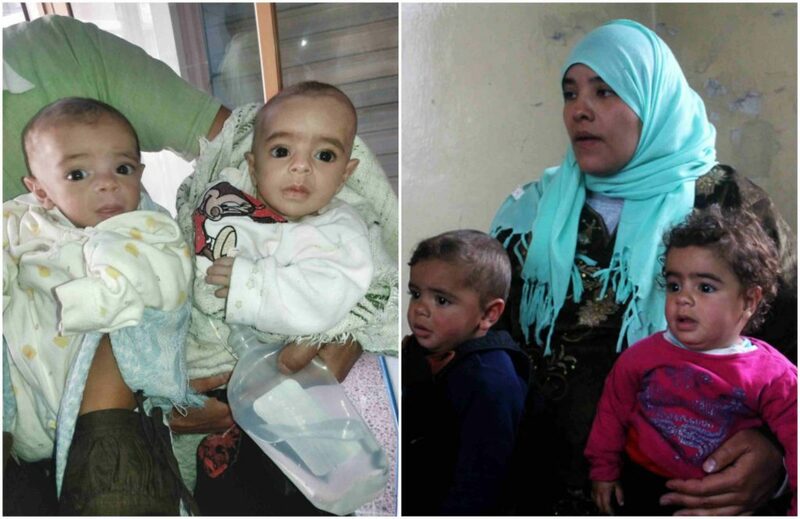 Their health deteriorated and their mother was desperately concerned. “At the beginning, when they were crying from hunger, their screaming filled the whole neighborhood,” Nessrine said. “After using cow’s milk for feeding, they became very weak, and their crying could hardly be heard.” When Nessrine approached Caritas, our Hassakeh team helped to refer her to a doctor who started providing her with nourishing baby milk on monthly basis. Recently our team visited her to check on the children’s situation. They have gained weight and their health has greatly improved. “Without the help of Caritas, I would have lost my children or we would be facing huge debts to be able to buy milk and get treatment. I thank you from the bottom of my heart for saving my children’s lives,” she said. The Caritas offered rent support which has enabled the family to look for a better apartment in a better area, where they can have some sunlight during the day. “Caritas is the light that entered our lives again,” Mr. Khaled said. According to the World Health Organisation, 57 percent of Syria’s public hospitals have been damaged, while 37 percent no longer function. The pharmaceutical industry has been decimated and health expenses have risen dramatically. Getting treatment and medication has become a luxury for many families. 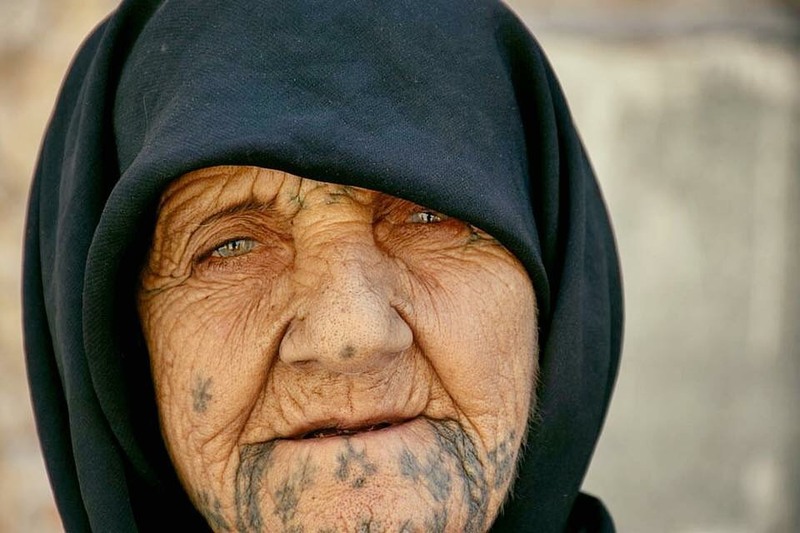 Abu Malek, 75, is living in a tent with his wife. They struggle to get the medication they need.“We are old and we need medicines every month, the most difficult thing is to find a way to buy that medication as we barely can eat every day,” he said. The number of people devastated by the Syrian crisis continue to climb as the conflict wears on. But the statistics have faces. They are Rabee, learning how to walk again, Abu Malek, able to buy the medicine and Nessrine who can now offer her children the milk.